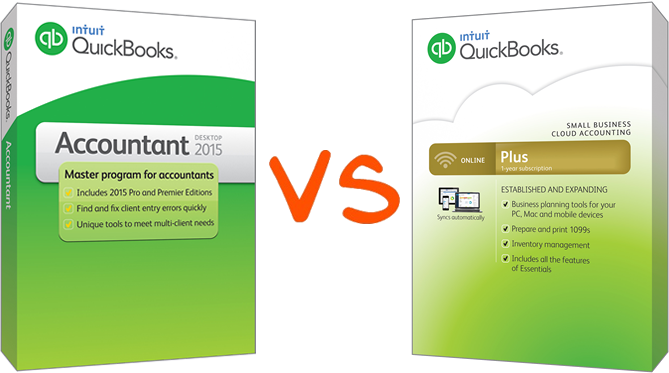 QuickBooks Accountant Desktop vs. Plus 2015 – What’s the difference? Client Collaborator – the biggest objective of this feature is to group and streamline conversations with the clients regarding specific topics. Rather than sending emails from your Outlook account (or any other service you use) it is now possible to contact clients directly from QuickBooks. If there are any questions regarding a particular transaction you can email a client and he/she can answer it directly from QuickBooks at the same time establishing conversation history that can serve as a back up. This feature also allows you to notify clients if there are any unanswered questions. Keep track of unbilled hours in Income Tracker. reporting enhancements – Insights tab can be found on the home page and gives you a quick access to customizable financial details. Accountant’s Copy file transfer made directly from QuickBooks – clients can incorporate changes directly from their version of QB (they will only receive an automatic email with instructions on how to implement changes) and once the changes were made, an automatic email is sent notifying an accountant about the completion of the process.